Operating responsibly is not just a philosophy; it takes careful planning, commitment and implementation. Every day we strive to demonstrate that mining can be done responsibly. Despite our 25 year track record as a safe operator, we know it is our current performance that matters. We uphold industry best practices and strictly adhere to safety and environmental regulations. We asses our potential impacts from project inception to closure and identify ways to mitigate these to ensure our environmental footprint is as small as possible. Clean air, water, and soil are important to all of us. We have built four mines in three countries over a seven-year period with no reportable environmental incidents. The EIA for the Stratoni, Olympias and Skouries projects took more than five years to be prepared, reviewed and approved by the Greek Government. We are currently rehabilitating a tailings area left over by previous mining activities at Olympias in Greece. Environmental planning is an integral part of the project development process. Before we receive a permit to operate, we complete a full Environmental Impact Assessment (EIA). EIAs are comprehensive baseline studies that assess the current state of the environment at the proposed mine site, identify the potential effects of our planned activities and outline steps to minimize any identified risks. The process of completing an EIA is long and rigorous, requiring extensive consultation with nearby communities as well as considerable input from technical and environmental experts. Once our EIA is approved, we are able to begin construction of our mine site. The risk mitigation measures identified in the study influence how we design and construct the mine, as well as our choice of equipment. It also provides the basis of our ongoing monitoring plan to ensure that our operations are complying with regulations. 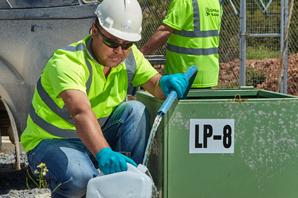 Through ongoing monitoring, we are able to take steps to reduce potential environmental impacts and minimize our use of water, energy and chemicals at our operations. We continually monitor environmental factors such as air, soil and water quality, noise levels, vibration and energy use. This allows us to adjust our practices as needed to reduce or eliminate potential environmental impacts. It also allows us to implement programs that enhance the environment. ISO 14001 is an international standard for best practice in environmental management systems. Both our Turkish mines (Kisladag and Efemcukuru) and our Halkidiki assets (Stratoni, Olympias, and Skouries) are ISO 14001 certified. As part of our responsibility to the environment, we are involved in a wide range of rehabilitation activities during the life of our mines and we have reclamation plans in place for when they close. Working with environmental experts, we restore the site to a productive ecosystem capable of supporting local plants and wildlife. As part of our commitment to transparency and accountability, we helped establish independent environmental committees at Kisladag and Efemcukuru in Turkey and at Stratoni, Olympias and Skouries in Greece. In 2014 we began using electric shovels at Kisladag. 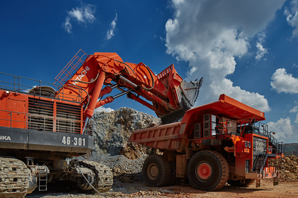 Electric loading resulted in a 26% decrease in energy consumption per tonne of rock moved. 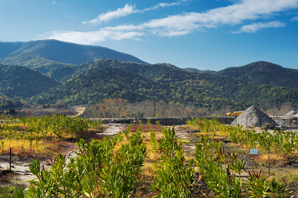 At our Olympias site, we are overseeing one of the largest environmental rehabilitation projects in Greece. We are currently rehabilitating 26.5 hectares of land, an area equivalent to the size of about 35 soccer fields. Learn more about our economic, environmental and social performance. Learn more about our commitment to protecting our natural environment.